Harshanya is a puzzle lover and likes a good challenge. CHENNAI : Lego blocks — the tiny plastic bricks — have been inspiring young minds to think about innovative designs for decades. In another attempt to inspire the builders of tomorrow and encourage creative thinking, Landmark hosted the fourth edition of its LEGO Championship in the city. 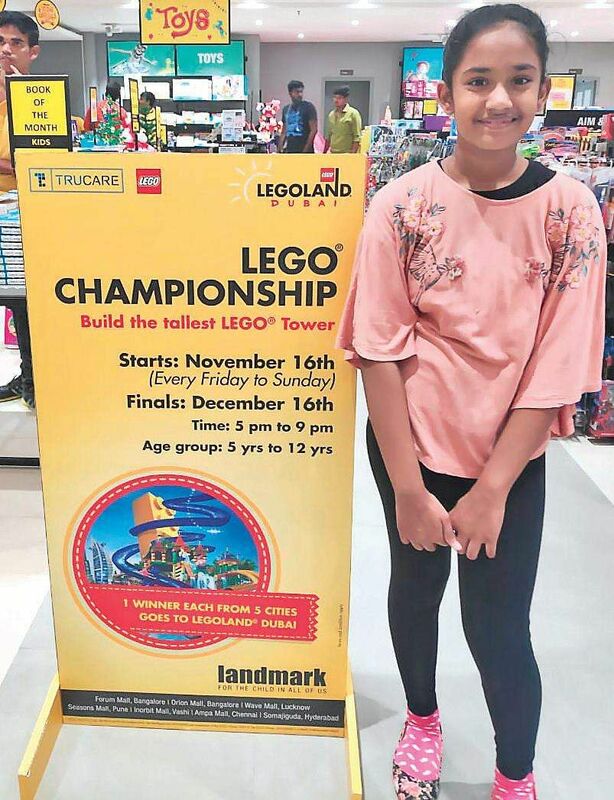 Harshanya Shankar, a 10-year-old, bagged the champion title after she built the tallest Lego tower — measuring 110 centimeters — in the finale held on December 16. Talking to CE, the class 5 student shares, “I was extremely thrilled and excited to be part of the competition. I didn’t expect to win, so it was quite an interesting experience.”Incidentally, the youngster’s parents are architects. Harshanya is a puzzle lover and likes a good challenge. “The racks in my house are filled with Legos. In a way, I think my parents being architects helped me,” says Harshanya, who is fond of the Lego Friends sets. The class 5 student has also won the chance of visiting the famous Legoland in Dubai. “I am looking forward to having fun in the water park. I was casually browsing the Internet to read up about Legos and found about the Legoland theme park. Since then, it has been a dream for me to visit the place...now it has come true,” she says.